Farzana , my friend and a very close sister in Islam, has passed away. It has been eight days since her death. She was suffering from cancer. Though her brother was able to donate some bone marrow, unfortunately her body rejected it. That’s why the doctors were unable to give the family any more hope. She decided to return home and spend her remaining time with her beloved family and friends. I talked to her couple of times during her illness and felt amazed by her courage and patience, subhanallah. She was a very practising sister who had strong tawakkul (reliance) on Allah SWT. It felt like she has accepted the trial with an open heart and alhamdulillah, it’s my firm belief that she has passed the test insha-Allah. During such a critical time she has also tried to prepare her three very young children for the world without her. You can imagine how hard it would have been for her to do so. May Allah SWT make her children successful in this world and the world to come, ameen. May Allah SWT make these three young children the means for her and her husband to reach jannah, ameen. May Allah SWT give her husband lots of strength and patience to endure the hardship of parenthood in the absence of his beloved wife, ameen. Last Thursday when I went to her janazah (funeral) I felt very moved to see lots of people especially sisters coming to see her off for the last time. She was loved by many people for her wonderful personality. She was a very friendly sister who always had a lovely smile on her face. I will miss her company a lot. She used to discuss the current situation of Muslim ummah and how we can do something to contribute to the ummah. Alhamdulillah she was able to perform hajj at an early age. May Allah SWT accept her hajj and all the good deed, ameen. As far as I know, I haven’t seen her wasting her time. She worked hard as a teacher in English. She loved her subject very much. Her students in A-level would be able to tell more about her passion for English literature. I hope and pray that Allah SWT washes away all of her sins, ameen. As part of hajj at-tamattu, my dad and me performed the umrah first then we done our ihram on 7th of Dhul hijja and on 8th of dhul hijja we were in Mina. Subhanallah the view of Mina is breathtaking ! It seems like a big city of white tents. There comes so many different races , all of them to worship the same God I worship. It really gives a sense of belonging to a large, diverse ummah. Alhamdulillah I felt proud of my identity. Some people in our group decided to see the place around so my dad took me with him. I felt very lucky as I was the only female member to be in that group. I really enjoyed that trip alhamdulillah. I met pilgrims from various countries. The 9th of Dhul hijja which is called the day of Arafah is the most important day of hajj. 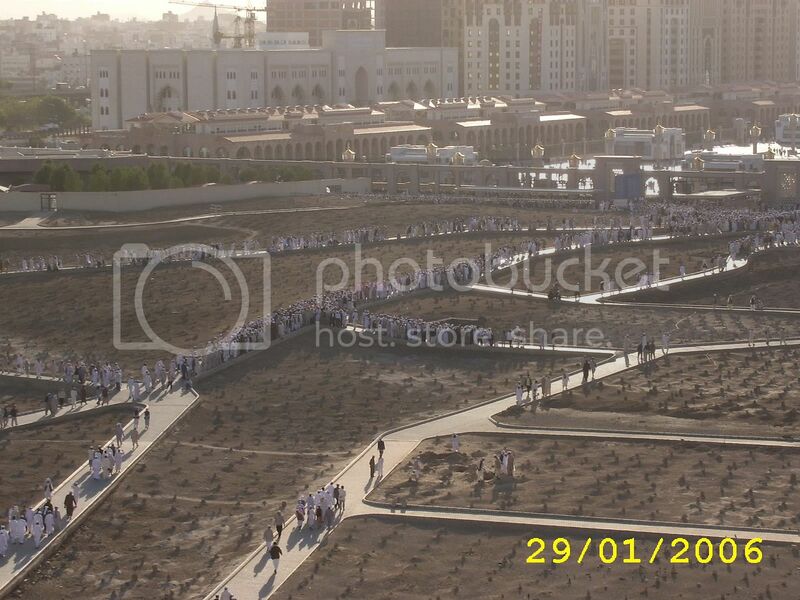 We went to arafah on that day. It was the most beautiful day of my life, alhamdulillah. Every single person in our group was feeling very calm and doing their best to please Allah SWT. We cried a lot and asked Allah SWT for forgiveness. Our imam ( the head of the group) Hasan uncle done the khutba before Dhuhr time and after the khutbah , we prayed the Dhuhr and Asr prayers , shortened and combined with one aadhan and two iqaamahs. I thought about the wisdom behind shortening the prayer. As far as I can think , I felt like its done to give us all more time to individually worship Allah swt. Laa ilaha illallahu wahdahu laa shareeka lahu, lahul Mulku wa lahul hamdu wa huwa a'la kulli shai'een kadeer. It means , there is no deity worthy except Allah alone and he has no partners, to Him belongs sovereignty and all praise and He is omnipotent over all things. It has been said that there is no other day when Allah sets free more slaves from the fire than on the day of Arafah, for on that day He comes nearer to them and says to the Angels: What do these people seek. So what more we can ask for? I must say, one thing came really handy at that moment alhamdulillah as I didn't want to lose the chance of not doing my best on this tremendous day. I wrote all the du'aas I wanted to do in my diary, most of my du'aas were taken from the Qur'an and the sunnah of Rasulullah saw. Its also better to write down the names of the people who wanted to be mentioned in your du'aa and the people you want to make du'aa for, insha-Allah. Then around Maghrib time we headed towards Muzdalifah where we done our Maghrib and Eshaa prayer combined together and spent the night under the clear sky! It was amazing as it was the first time in my life where I slept on the ground ( I used a sleeping bag) and enjoyed the sky with its numerous stars, subhanallah! The aunties in my group shared their snacks and fruits with me. I am very grateful to them for their generosity towards me. May Allah SWT bless them. It felt like I went to camping. I bet everyone in my group liked it, specially the young people. We also collected the stones to throw at the jamarah. You have to remember that the stones must not be big enough to hurt someone while throwing! I must mention one thing which moved me a lot. 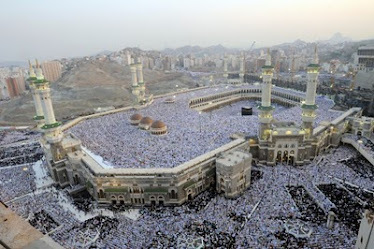 There were almost 100 people in our group but we felt like we are a big family who came to do the hajj together. We helped each other as much as possible alhamdulillah. I wish we could carry on this wonderful behaviour when we return from hajj. You can sense the brotherhood and sisterhood of ummah during the hajj time. The 10th of Dhul hijja was the day of Eid. We were very happy but at the same time a bit scared about the stoning . But alhamdulillah we have managed to perform everything properly. Insha-Allah I will write more about my hajj. Please feel free to leave your comments.